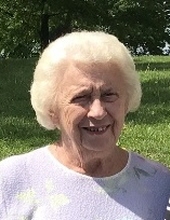 Theresa M. Chontos, age 87, of Finleyville, formerly of Homestead, passed away peacefully on November 24, 2018. Devoted wife of 34 years to the late Edward M. Chontos. Theresa enjoyed pool time, sunshine and working at Three Rivers Bank. Theresa is survived by her Daughter, Patricia Delserone (Donald, deceased) and Sons, Steven (Renae), Martin (Joy), Michael (Dianne); Grandsons, Robert, Dominick, Mitchell and Nicholas. She is also survived by her step-grandchildren Mathew and Alyssa, and 3 step-great grandchildren. She is furthered survived by her sister Rose Doughty. She was preceded in death by her parents, Joseph and Josephine Egry. Visitation will be held on Tuesday, November 27, 2018, 2pm-4pm & 6pm-8pm & Wednesday, November 28, 2018 from 11am-12pm at the JEFFERSON MEMORIAL FUNERAL HOME, INC., 301 Curry Hollow Rd., Pleasant Hills, 15236. A Funeral Ceremony will be held Wednesday, November 28, 2018, 12:00pm, at JEFFERSON MEMORIAL FUNERAL HOME CHAPEL. Interment will follow the service at JEFFERSON MEMORIAL CEMETERY. Condolences may be left at www.jeffersonmemorial.biz. To send flowers or a remembrance gift to the family of Theresa M Chontos, please visit our Tribute Store. "Email Address" would like to share the life celebration of Theresa M Chontos. Click on the "link" to go to share a favorite memory or leave a condolence message for the family.